If you’ve ever stopped to think about how much money you’ve spent on your makeup routine over the years, you’ve probably realized just how expensive it can be to look good. It’s fun to try new makeups and buy lots of different products to give you lots of different styles, but it can be hard to indulge while staying in budget. Plus, the pressure to invest in expensive, high-quality makeup is very real. Looking through makeup magazines can make you think that there’s just no way to get great makeup without shelling out the big bucks. But, there are a lot of ways to stretch your dollar and get a lot more great makeup for a lower price. Here are my tips and tricks for staying fabulous even if your wallet is looking a little light. Before you do anything else, write down how much you can actually spend on makeup. Consider not only how much you CAN spend, but also how much you WANT to spend. Just because you can afford that expensive eye shadow doesn’t mean you want to spend your money on it. Consider how important different types of makeup rank in your budget; maybe you’re willing to spend a lot more for mascara than for blush. If you have special needs in terms of makeup, like sensitive skin, make sure that you account for the added cost of specialty makeup for your skin type. It may be that you will have to budget a little extra for a product if it means that your skin can stay healthy. Make sure you always keep an eye out for coupons; browse through your local ads and clip any great deals you find. Any product that can do two jobs for the price of one product will be a great boon for the lady on a budget. Consider using your moisturizing lotion and foundation together for a subtle color effect; you can use your foundation as a regular base on your lips and eyes instead of having to buy more products just for those areas. Did you know that you can make your own eyeliner with your powder eye shadow? Get create and concoct your own makeup money-savers in your bedroom. Despite the bounty of products out there, the truth is you really only need a few good products in order to get an amazing effect. Look for tips and tricks that can stretch your mascara or lip color budget into another week! Okay, maybe you don’t want to go too crazy, but certainly don’t be afraid of trying new things, especially if they’re low cost. Many women fear that a small price tag means low quality, but you might be really surprised at some of the amazing low-priced makeup out there. For example, the Color Icon Eyeshadow Collection doesn’t have a professional price tag, but it works wonders and looks great. So give some of the cheap makeup a try; you won’t lose too much money in the process, and you just might find that you can cut your budget in half because your new favorite product costs a lot less than what you’ve been using. Have you ever been to a clothing swap, where your friends bring their unwanted clothes together and you trade? Why not do the same thing with makeup? You probably have some old blush and foundations you never use anymore, so there’s no reason to hold onto it. Instead, trade with your friend for that eye shadow you’ve always liked. A great thing about holding a makeup swap is that you can talk to your friends first-hand about their experiences with different products. 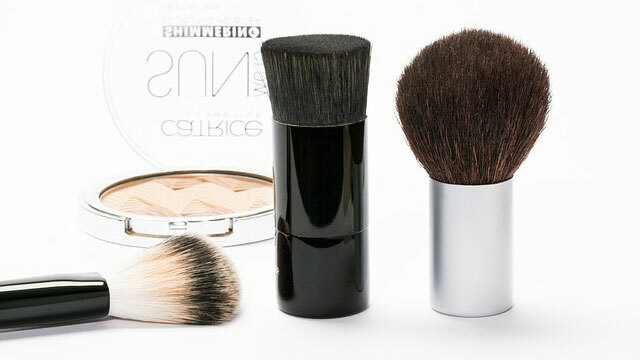 If you’re worried about using the same makeup someone has already used, just sanitize it with a wipe or some rubbing alcohol. You’ll be de-cluttering your makeup drawer and getting some great new products at the same time. One of the biggest benefits of shopping for makeup on a budget is that lower-priced items means you can buy more variety of styles. When a mascara only costs about $2, you can buy it in three shades and you’ll still be spending less than you would on a higher-priced product. If you’re not already keeping track of your makeup spending and buying on a budget, you’re probably spending too much on makeup. Cut your spending in half – or more – but trying out those lower-priced products and you might find that your makeup collection actually expands instead of shrinking. Shop smarter and you’ll feel better about your bank account without your beauty routine suffering.